Criminal Law Office Miami | The Law Office of Walter A. Reynoso, P.A. 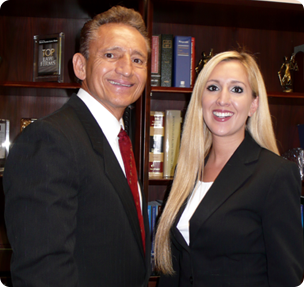 Criminal Defense Attorneys serving Miami-Dade County, Florida. Thank You for your inquiry, an expert will be in touch shortly. The Law Offices of Walter A. Reynoso provides the zealous representation and reputation you need before a grand jury investigation or after a criminal arrest in Greater Miami Dade County, Broward County, and Palm Beach County, as well as throughout the state of Florida, nationally, and internationally. Our firm is dedicated to fighting for your constitutional rights, aggressively and successfully in state and federal court, against serious charges such as white collar crimes, money laundering, fraud, cyber crimes, weapons violations and drug offenses. Our criminal law office is equally proficient at in-depth investigations of charges, skillful negotiations with prosecutors and forceful litigation in courts of law as well as providing attentive personal service throughout the legal process. Our lawyers have represented many foreign nationals in the United States and abroad, and we have provided them the benefit of communicating throughout the process in their native language — hablamos su idioma! Contact The Law Offices of Walter A. Reynoso, P.A., in Coral Gables, Florida, by calling 305-441-8881 or reaching us by email. You owe it to yourself and your family to hire an experienced criminal defense attorney. Contact The Law Offices of Walter A. Reynoso today to schedule your initial consultation. Call 305-441-8881 or send an email message. Hablamos su idioma.